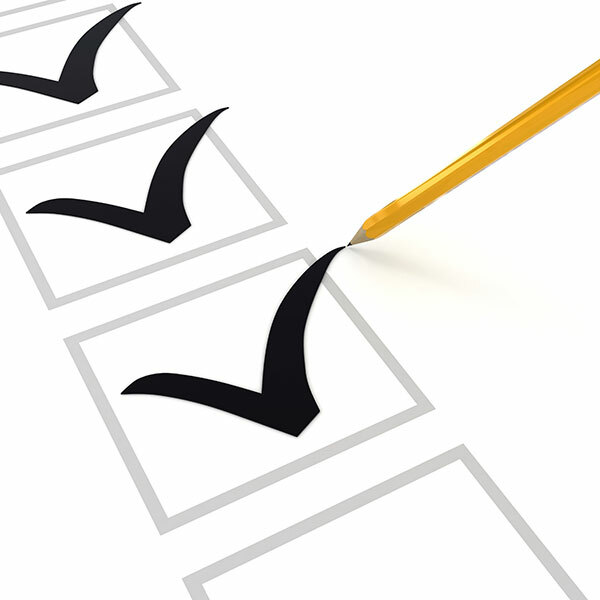 At F M Berkheimer Inc we strive for 100% satisfaction in everything we do. We value your opinion and invite you to tell us and others about your experience with us. Please take a few moments to tell us what you think by leaving us a review here on our website or on any of these popular review sites or social networks. Read what other customers have said about us. Thanks . System works well. Big savings. Elect. system- very quiet, keeps home a good temperature. Best people to work with. Honest and pleasant people from salespeople, people in office, and worker in field! Installation was completed on time and everything was cleaned up. This is our third unit (3 different houses) we have purchased through FM Berkheimer. We have always been happy customers. Excellent job. Enjoyed negotiating with Ian. Thanks for the bag and cookies!! The installation team did a great job replacing our split system units. They showed up when promised and completed the work in one day. The office was courteous and helpful through the process. Job well done. Thank you! The very best. Excellent job with all our needs. I appreciated how quickly they returned to make some adjustments after the original work had been completed. We are very pleased with our new air conditioning system! Warranty paperwork was given, but not discussed. Would be a good follow up. Thanks for the cookies and the thermos bag! Everything is professional and top notch about Berkheimer's. Everyone we interacted with, from the first visit, installers, phone calls, was so nice and genuine! We appreciate the effort made to expedite the replacement of our old A/C during the recent hot spell in June. We are very happy with our mini-split & are so glad we have it this summer. In our almost 30 years with your company, you have been extremely helpful and here when we needed you. It' been a pleasure working with your company! I am very happy with the end result. We had heard great things about Berkheimer from others. You were all that and more! Class act!! You rock! We no longer take bids from other companies, we go to FM Berkheimer first. Very happy with the system and service. 100% satisfied. Excellent and met our needs. I would like a good price on yearly maintenance of HVAC. Please provide good/competitive price on yearly HVAC maintenance. From beginning to end this was an excellent experience for our family. Their team was knowledgable, professional and patient with us. We are grateful that we went with FM Berkheimer and would do it again in a second. They are reasonable people when it comes to (price & performance). Others in the area are high dollar crazy. I have been a customer for 25 years and have never had a problem- an A++ company. This company was recommended to me by a commercial HVAC company. The technicians arrived on time. It was clear that this wasn't their first time working together and they had all tools and materials to perform the project . They were very polite and cleaned up. Very pleased with the work and will consider them for any future HVAC work. Your company exceeded my every expectation. It was a pleasure dealing with everyone, from in the office to your very professional technicians. I will recommend your company to everyone. Thanks again for everything. Too bad there aren’t more companies like this that have a great reputation that’s been earned. I appreciate the time that Ian spent with me and his guidance in selecting the best system for my home and budget. I also appreciate Ian’s and the Installation Team’s professionalism, workmanship, great personalities and the care they took while working in my home. They are a great team! Sales person and Installation team were all friendly, courteous and knowledgeable. All were respectful of my time and made me feel my home was in good hands. You can tell this company holds their employees to high standards. The owner was kind, helpful, and very responsive and did all he could do to get us the best product and price. I am so pleased with the service and the product. Thank you. How "sweet" it was to send me cookies. And the hot/cold pack, I will keep in my car. Thank you. A job well done; thank you. They did other work for us as we were always 100% satisfied. You are the best. Ian did an excellent job of providing my mother with a heat pump alternative for her home with which my mother is extremely well satisfied. His ideas for the air vents worked out very well because my mother, who is 91, doesn't feel any drafts and is very happy with way the work was done and how well the heat pump keeps her warm and cozy. Very professional team. Pleasant to work with also! Thanks for the cookies and bag! Your employees were GREAT! Thanks for the cooler and cookies! Nice surprise! Kenny, your service tech, was a true professional. He is an asset to your company. Thank you for your usual prompt, courteous sales, office, and service personnel. Great job. Buddy told me: "Do yourself a favor and call these people". Extremely reliable! They really listen and take "pride" in work! Very much satisfied. Technician overcame a problem that arose during installation to our satisfaction. All questions answered during installation. Everyone was so helpful and professional. So glad we went with you to have the work done. We feel confidant with winter arriving that we'll have heat throughout and won't be left in the cold (literally) again when the temps drop. Thank you! Thanks for the cooler and cookies! Very nice touch. Ian was professional and very attentive to our situation, knowledgeable. The install crew was excellent. ** I have only good things to say about Berkheimer. I was very satisfied with your prompt response and excellent work. 20 years ago when we bought this house, we were told by a neighbor that he wouldn't deal with anyone but Berkheimers. Thank you very much :) We could have not done any better! So glad we picked Berkheimer's. Very happy with the install and the courteous manners of the gentlemen performing service. Great job Ian and crew! Thank you. Always do an extensive job quickly and efficiently! Service was above and beyond! Customer for years under contract. Thank you for always taking such great care of us! Outstanding experience during HVAC installation - great customer service and professional technicians. Overall we were very pleased with everything. Great service and always on time and there when I need them! Will refer to anyone who needs a new heat pump or service. When I bought my house 30 years ago, the heat/AC had been installed by Berkheimer, I have been so impressed with their service, I never considered another company. 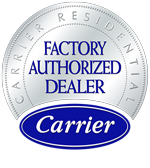 Our Carrier AC/Heat System was installed in early November and we have been very pleased with it's operation. We are particularly pleased how the unit has provided heat during the last couple of colder winter months. We definitely will contact you regarding our one year warranty and service following the summer and early fall of 2017. We received your cooler gift today and are very thankful to you for thinking of us. Glad we picked Berkheimer! Will refer them to friends and neighbors. Courteous, professional, thorough installation team. Pat B. is the best!! Overall good experience! Gave great recommendation to neighbor who will contact when ready. Work performed in a timely and courteous manner and done professionally! Very pleased with the installation and product! Installation crew knew what to do, split up work but worked together! Everyone we met with the company has been very nice and helpful. Work was done quickly and with quality. Very clean and efficient workers! Wonderful experience, have already recommended to others. Excellent staff, knowledgable of responsive sales, great work, quality installation. My heat pump failed to cool last night. We woke up to a warm house. I called FM Berkheimer at 7:20am to report the problem. They were out and had it running again by about 8:35am. WOW! That is service! Fortunately it was only a bad capacitor. I have been doing business with them for over 40 years...starting with an apartment they serviced then two new homes! Now you know why i won't rely on anybody else. Great people and service! We have been customers of Berkheimer's for about 30 years. We have always been extremely well-pleased with them and trust them for all our heating and cooling needs. We have recommended them highly! Thank you for the gift too! Fast, efficient, professional. So far, so good!! Work was done in less time quoted. The crew worked!! Have known these people for many years. Thank you for the unexpected present. We appreciate your kindness and the service! Love the product and the great experience! We were very happy with the work and how nice everyone was with answering questions. Excellent work and friendly folks to deal with! Highly recommended by friends. The installers did a very good job and everyone was courteous and friendly! I was looking for a local business that's first concern was the customer! FM Berkheimer, Inc. has always treated us outstandingly. We were pleased and impressed with the quality of work and price of product and work. We felt great with the whole process which was very important. Installers were very good at what they do. Thank you for your wonderful service. Your men did a great job! They did neat work and were very tidy. We sure are enjoying the air these hot days! In awe! Never say any better team of workers! Couldn\'t be happier! Thank you for such excellent service and fair pricing. In a world of many who would love to 'rip people off,' it's refreshing to find traditional ethical folks who still conduct their business the right way! I have been dealing with them for many years and there is nobody more reliable than F. M. Berkheimer. I will use them again in the future. I like the quality of the work, their employees, the staff up to the management, the quality of materials that they use and the cleanliness. When they perform the work, they really go out of their way. It\'s unbelievable. There is no spec of dust anywhere when they are done. They would be the only people I would ever go to. It was a very good price for what they gave me. Thanks for taking time to answer all my questions. I appreciate your advice. I am pleased your employees take pride in a job well done. They are the kind of role models young people need who are entering the work force. Thrilled to death! Fantastic guys! Very nice job. We are extremely happy with our new system. Kudos to your Techs. Many thanks for a great job. We appreciate your working with us to get the A/C installed and the ease of the whole process. The men were great, very efficient and we hardly knew they were there. Even the cat and rabbit survived with minimal anxiety. I had my air conditioner fixed and service by your service technician. He was extremely pleasant, very knowledgeable, and very efficient. My wife and I were very happy with the work that was done and by the way it was done. Thank you very much for your prompt, excellent service. Your service technician represents your company very well. He is very professional and friendly. We are very pleased with the installation and it seems to keep the home very comfortable. The installers did an excellent job and we were impressed with their professionalism and attention to details, including keeping the home dust free and clean. They were dedicated to the job and they wasted no time in frivolous chatter. It was a pleasure to have them in our home.